Christmas is coming! Now is the time to get your order in for a portrait painting. 20% discount off normal prices. Prices normally start at £450 but with the discount prices start at £360 (depending on painting size). 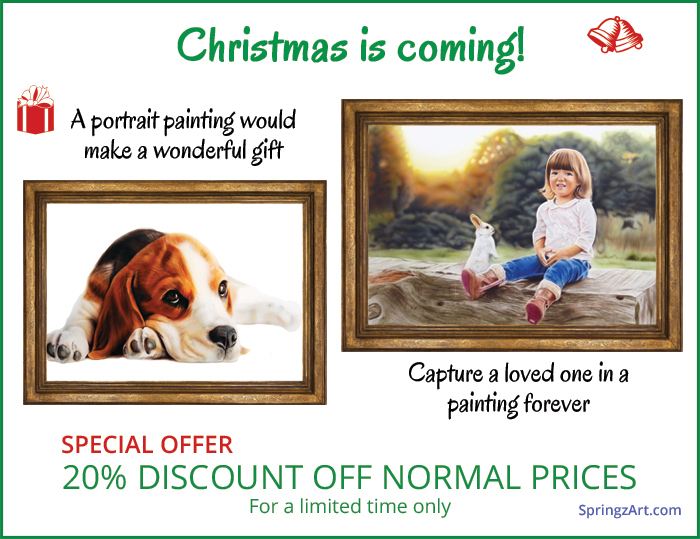 Order your portrait before the end of October to get the discount and to ensure the painting is completed in time. Contact me with any questions or to place your order.